This week we were to create an image using the zoom burst technique. It had just recently snowed. 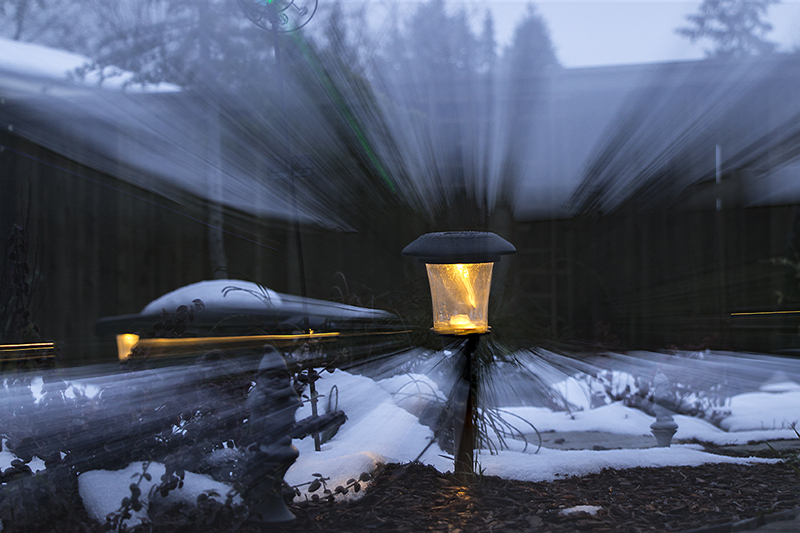 The lights in the yard were a nice warm glow. I headed outside to see what I could get. What I captured was a good zoom, nice color contrast and a acceptable composition. Sometimes, though, you just have to take what you get.